The wrap-up day for the Autumn Birding Festival was a hit. The winds were good for bringing in hawks and birds, and some Monarchs came along with them. The numbers of Monarchs migrating today came at a moderate pace. The butterfly bush at Triange park has been a reliable source of nectar for many species butterflies. The Triangle Park is one of few gardens still providing nectar for these fall migrants, as well as Tropical Milkweed on which to lay eggs. While most Common Milkweed has succumbed to the cold, Tropical Milkweed is still flowering and remains bright green. 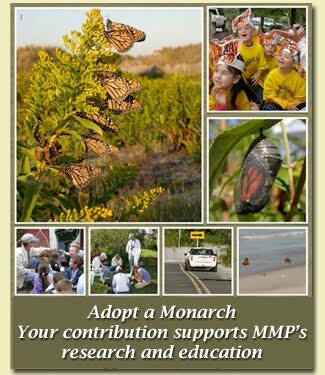 Whether or not the Tropical Milkweed is beneficial for the Monarchs or detrimental remains to be seen, and more research will have to be done to understand the effects of this non-native host plant on Monarch migration. 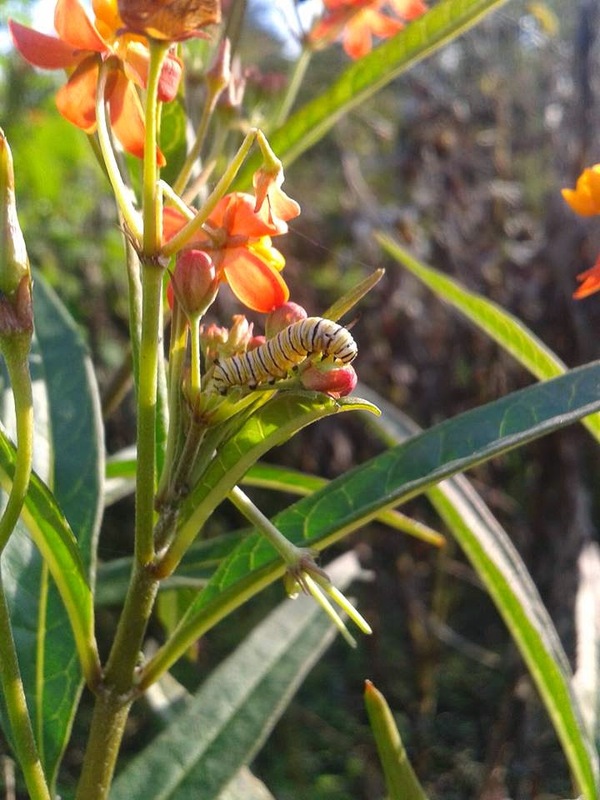 Today I saw a very early instar caterpillar feeding on the Tropical Milkweed flower. The milkweed flower is the only part which actually contains protein. 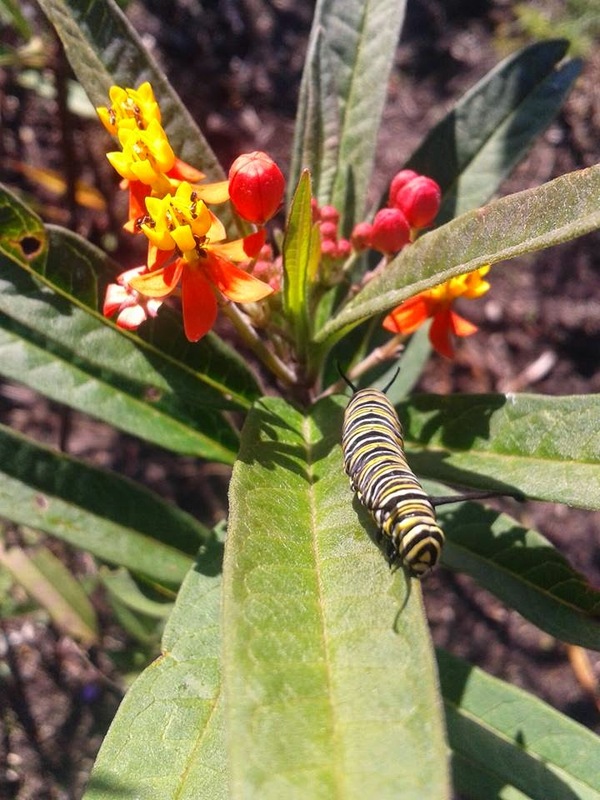 This is an explanation for why the Monarch adult lays the eggs at the top of the plant, often on the underside of the top leaves or flowers, in order to provide the young caterpillar with the best possible food source. I was surprised to see such small caterpillars at this time of year. It seems that this young generation of caterpillars will probably have a hard time, considering that they're at risk of experiencing any overnight frosts in the coming weeks. 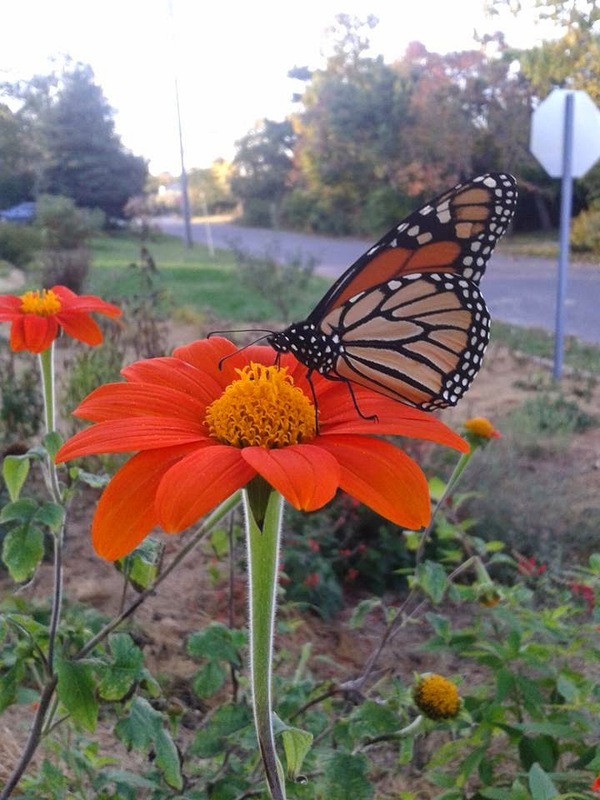 Sadly, this is part of evolution; only those Monarchs that emerge at the right time of year can migrate and make it to Mexico before winter hits.